“There’s nothing wrong with you.” That was the key. Her confidence in everyone’s basic goodness was powerful and constanteven when she was angry with them. 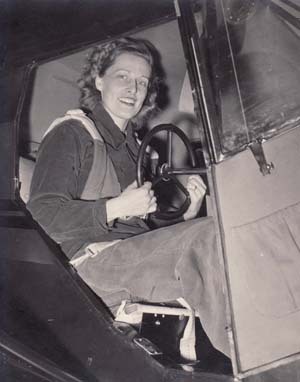 As incredible as it may seem, Virginia was still working with individuals until a few weeks before her death. 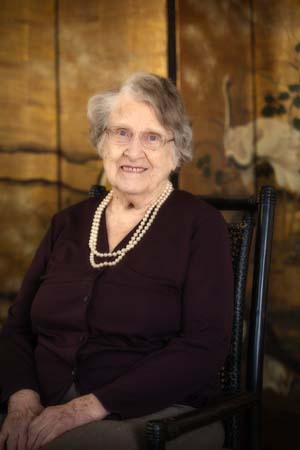 Virginia had a passion for working with children. 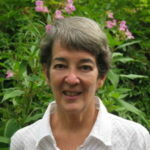 Besides raising her own sons she did graduate work in child psychology at Syracuse University, and later worked in a pre-school in Syracuse. 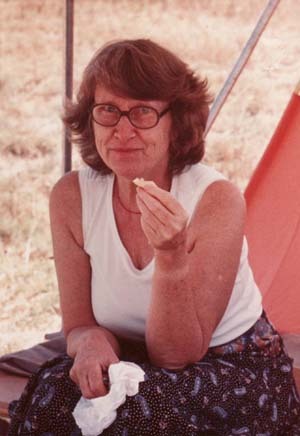 Then she moved to California to begin a PhD program at the University of California at Berkeley. 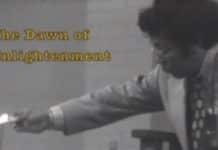 But she gave it up after she met Chögyam Trungpa Rinpoche in 1973. 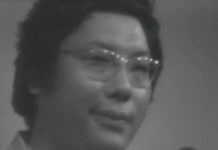 Trungpa Rinpoche’s teachings became her other passion (besides working with parents and children) and the two (Buddhism and children) were closely entwined in her heart. 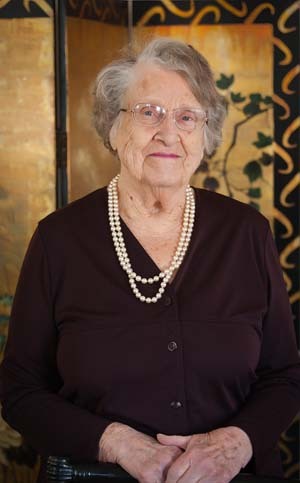 Virginia Hilliker was born in the small town of Bradford, PA in 1915. She was fourteen when the Great Depression struck in 1929. Virginia, her two siblings, her schoolteacher mother, and salesman father, who lost his job, weathered the hardship by cultivating their garden, raising chickens and cows, and learning about self-sufficiency. Virginia told me many stories about this period of her life: it made her stronga survivor. Virginia died the way she livedfiercely, with intense passion and determination. Her love for life kept her alive for ninety-eight years. For many years she suffered from a painfully arthritic knee but was too old for surgery. She survived several life-threatening events in her later years: cancer surgery and a major fall in December 2011: she broke her neck, but that didn’t stop her either. She also lost her oldest son, Bob, in 1993 after an accident. Virginia wanted to leave behind a legacy. 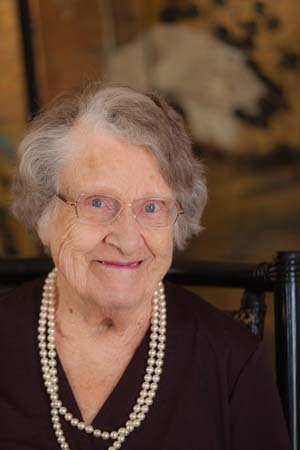 When she was in her eighties she began to sift through her many boxes of notes from years of counseling, and put together a small, pithy book about how she worked with children and parents. 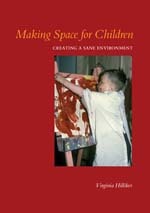 With a little help from her friends (including Molly Nudell, who designed a beautiful, vivid cover) Making Space for Children: Creating a Sane Environment was published in 2003, (available from Shambhala Media.) 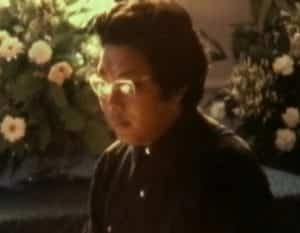 Its inspiration comes from Chögyam Trungpa’s teachings on basic goodnessalways her reference point. Easier to live in a blizzard. That chair, and the green car that wouldn’t let go. Saying “No,” with a hint of glee if you were looking. We should be so kind! In love with Chökyi and Thrangu. the Vidyadhara gave him a lecture on what a wonderful mother he has. “Virginia came into my life when I was a newly transplanted 19 year old – landing in California, because it was as far away from New York as I could get. I was looking for a therapist, and had read I’m OK, You’re OK before moving. So, on landing, I called the International Transactional Analysis Association, and asked for a list of referals to local thearpists. Virginia was the 5th one on my list. The other 4 quickly failed my tough criteria by not answering their phones, having “funny” voices, asking me the wrong questions, or just not clicking in an instant. She did – being friendly and open, she immediately set up a time for me to see her. Sitting down in her living room on 63rd Street in Oakland, I opened the session by threatening her, saying, “You had better not say anything that sounds like my mother, or I’ll get up and leave!” (my mother was a therapist at the time). Virginia howled with delight, and answered, “Well I can’t promise that because I don’t know what your mother sounds like!” I was hooked. For several years, I was in group with her, and did at least one “marathon”, eventually training with her to lead groups myself. 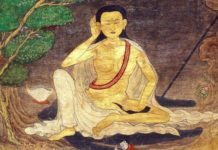 During one of the first few group sessions I went to, I looked at her at the end of group and shyly asked, “What is it about you You aren’t like anyone I’ve ever met” She held my gaze, smiled and said, “Well, I’m Buddhist. 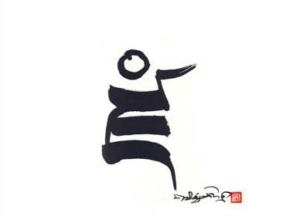 Maybe that’s it.” I had gone to the Soto Zen center in New York City one time, had read some Zen books in High School, and this comment from her knocked my socks off. I knew I was in the right place, with the right person. I trusted her. The next group meeting, she brought me a copy of Cutting Through. 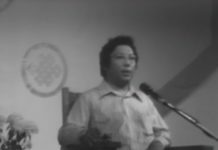 Not long after, Trungpa Rinpoche came to Berkeley, and she let me know about it, and I went. Best invitation I ever got. I started practicing with him within the next year or so, as I finished college in Santa Cruz. So, I credit Virginia as being one of the most authentic humans I’ve ever met. She penetrated my late adolescent despair, and helped plant the seed of dharma in my life, by being an excellent example. She was one of the kindest people, and we stayed in touch after she moved to Boulder. I eventually moved there too to be near CTR, and go to Naropa summer courses. When my daughter Annie was born, I took great pleasure in introducing her to Virginia, feeling that she was meeting a true and good grandmother, a true human being. 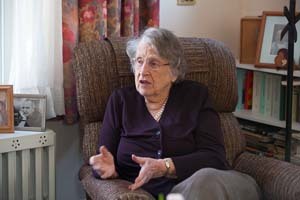 Since moving from Halifax almost five years ago, I had the opportunity to visit with Virginia a couple of times in her home. Her groundedness, humour, and acuity were amazing. When Virginia moved to Boulder we were part of a group of lady friends–and we did laugh together–lots! At one point I was a single parent and was having a hard time with my teenage son. I asked if she would meet with me separately and so we did. My son had grown quite big in a short period of time and had become quite surly. I was afraid of his person and our relationship was scary but I was determined not to separate from him. When Virginia and I spoke she asked if I thought he would hit me. I said I was actually afraid of that and didn’t know what the result might be. Then she asked, “Do you deserve that” My immediate response was, “NO!” She replied, “Then there is no worry!” Her question and response was so skillful and direct. It gave me such confidence that I was able to be a parent once again. My fears disappeared and we didn’t have further meetings. Barbara Blouin is a life-long student of the Vidyadhara. She is also a writer and editor. In 1995, she published The Legacy of Inherited Wealth: Interviews With Heirs.